It was an ordinary day in the Mushroom Kingdom. Princess Peach expected to welcome an ambassador from the Beanbean Kingdom; however, the evil witch Cackletta used this ploy to steal the princess’s voice! Now Mario and Luigi must venture into the mysterious Beanbean Kingdom to retrieve the princess’s voice before Cackletta awakens the legendary Beanstar and harnesses its power to conquer the Beanbean Kingdom. 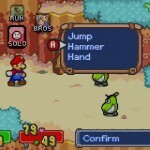 Mario & Luigi: Superstar Saga is the first Mario RPG to appear on a handheld console, and it’s the second spiritual successor—after Paper Mario—to Super Mario RPG: Legend of the Seven Stars. 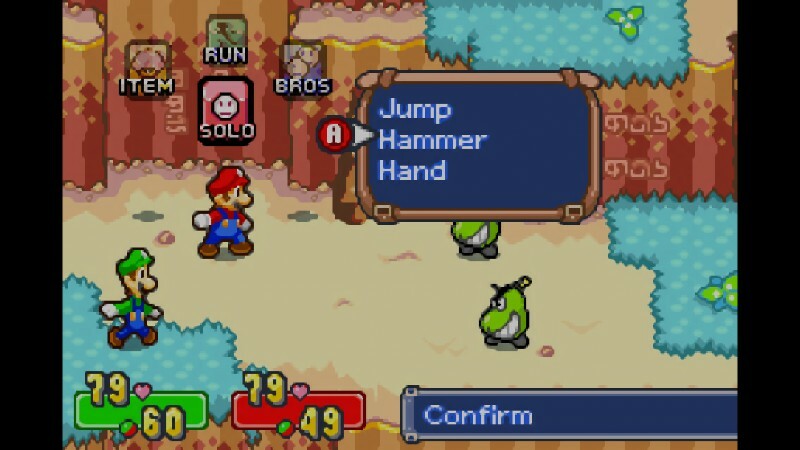 While the main platforming titles aren’t well-known for story or character development, the Mario RPG games have always delivered on those fronts. 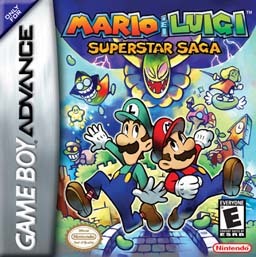 Mario & Luigi: Superstar Saga follows titular characters Mario and Luigi as they traverse the Beanbean Kingdom in an attempt to regain the stolen voice of Princess Peach. Helping them along the way are Prince Peasley, the Beanbean Kingdom’s own hero, and Bowser—because of course, only Bowser is allowed to terrorize Princess Peach. 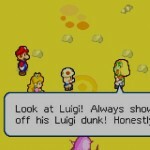 What really stands out in Superstar Saga is just how well the Mario characters are portrayed. Bowser, when not the main villain, is a complete and lovable goofball. 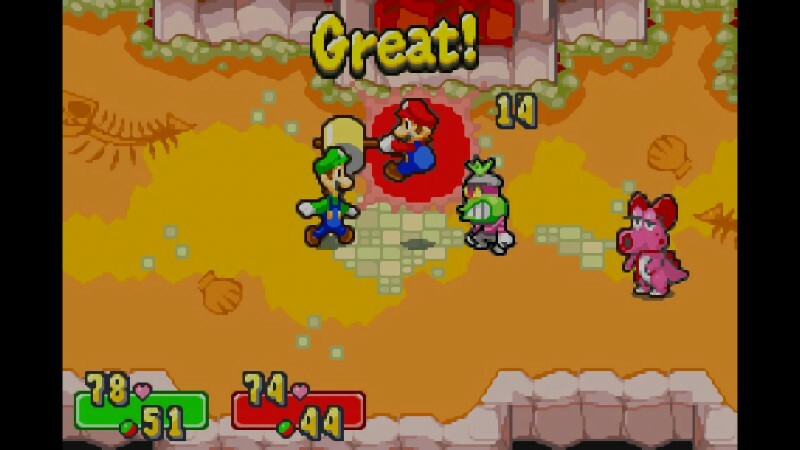 Luigi is portrayed as a bit of a coward, but he steps up when he’s needed, and you can really see the camaraderie and brotherly love that Mario and Luigi share. The graphics of Superstar Saga are really well done. The animations are very fluid, and the sprites don’t look out of place. While the sprites are absolutely beautiful, however, the backgrounds and level designs are a little underwhelming; they are just sort of there, and they don’t stand out much. The audio in Superstar Saga is also fairly average; while the game does boast a few memorable songs, overall, you’ll be listening to several of the same tracks over and over. 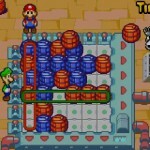 Superstar Saga‘s gameplay consists of exploring and solving puzzles within the Beanbean Kingdom. While the puzzles start out fairly simple, they become much more challenging as the game continues. The two brothers can also be separated in order to complete certain sections of the game. Along the way, there are also several minigames; while some are quite enjoyable, others can be a little tedious. What hurts is that these minigames are mandatory to advance the game. 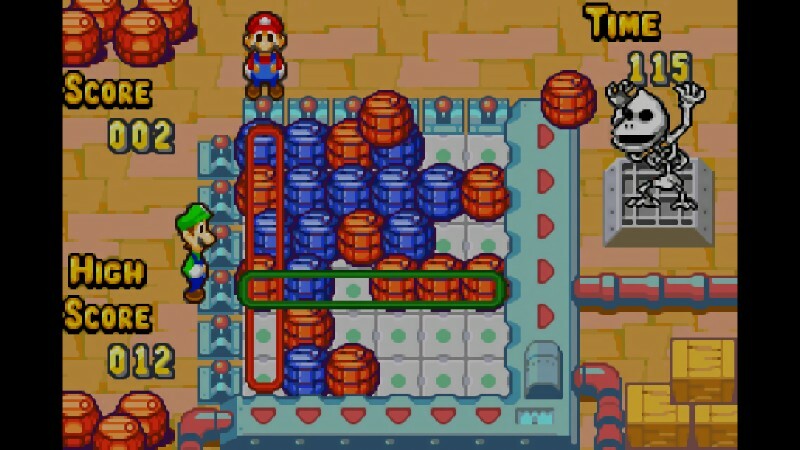 However, the real strength of Superstar Saga‘s gameplay lies in its battle mechanics. The battle mechanics of Superstar Saga follow those of a traditional turn-based RPG: you select an option to attack, defend, use an item, or run away from battles. You can also use Bros. Attacks, which are a series of tag-team attacks; with precise timing, these attacks are particularly useful against bosses. 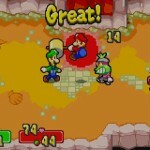 What sets Superstar Saga apart from other RPGs, however, is the ability to counter-attack during battle—and the feeling of going unscathed in a fight is pretty satisfying. 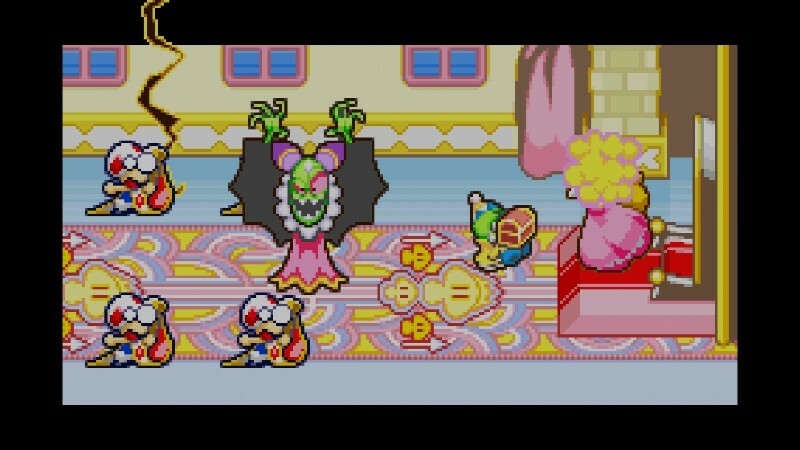 As strong as the battle mechanics may be for Superstar Saga, they also contribute to the game’s biggest issue: difficulty. 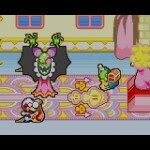 Unless you are pretty new to the RPG genre, Superstar Saga is, for all intents and purposes, a walk in the park. The Bros. Attacks make boss battles easier, the ability to counter-attack allows for a rather easy grind, and the equipment almost feels like a complete afterthought. By the time Superstar Saga begins to pick up in difficulty and feel like a challenge, you’re already near the end of the game. Aside from the main story, there a several other activities available in Superstar Saga. You can dig around for beans to get some of the best equipment in the game, or you can replay several of the minigames from the main story for a little extra coinage. 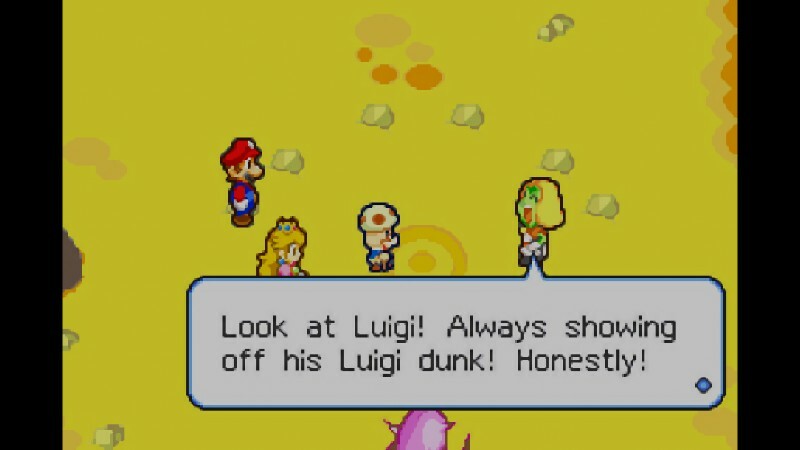 Mario & Luigi: Superstar Saga is a fine example of the fact that, given a proper setting, Nintendo’s flagship mascots can not only deliver an impressive game, but also a great story. While the game may be a little too easy for seasoned veterans of the RPG genre, it is still a refined, well-designed game, and it’s a must-own for any fan of the Mario RPGs.